Winning a Nobel Prize has its perks. When you talk, people listen. And you end up doing a lot of talking. And travelling. Reflecting on how the Nobel Prize changed his life, Walter Gilbert (1980 winner in Chemistry) commented, "You can find yourself spending years travelling and talking right after winning." 'There are a couple of bizarre things that happen. 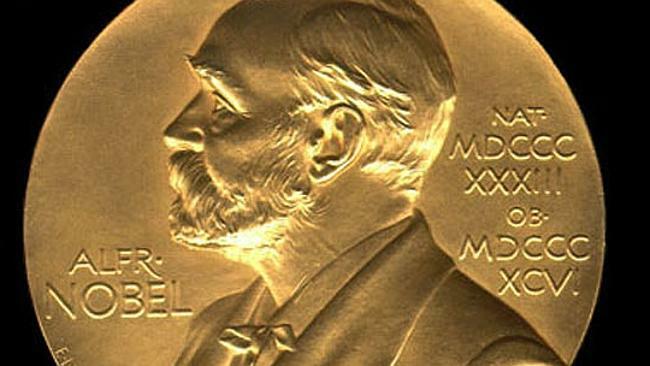 One of the things you get when you win a Nobel Prize is, well, a Nobel Prize. It's about that big, that thick [about the size of an Olympic medal], weighs a half a pound, and it's made of gold." “When I won this, my grandma, who lives in Fargo, North Dakota, wanted to see it. I was coming around so I decided I’d bring my Nobel Prize. You would think that carrying around a Nobel Prize would be uneventful, and it was uneventful, until I tried to leave Fargo with it, and went through the X-ray machine. I could see they were puzzled. It was in my laptop bag. It’s made of gold, so it absorbs all the X-rays—it’s completely black. And they had never seen anything completely black." For an added twist, now imagine that your Nobel laureate is Yasser Arafat.